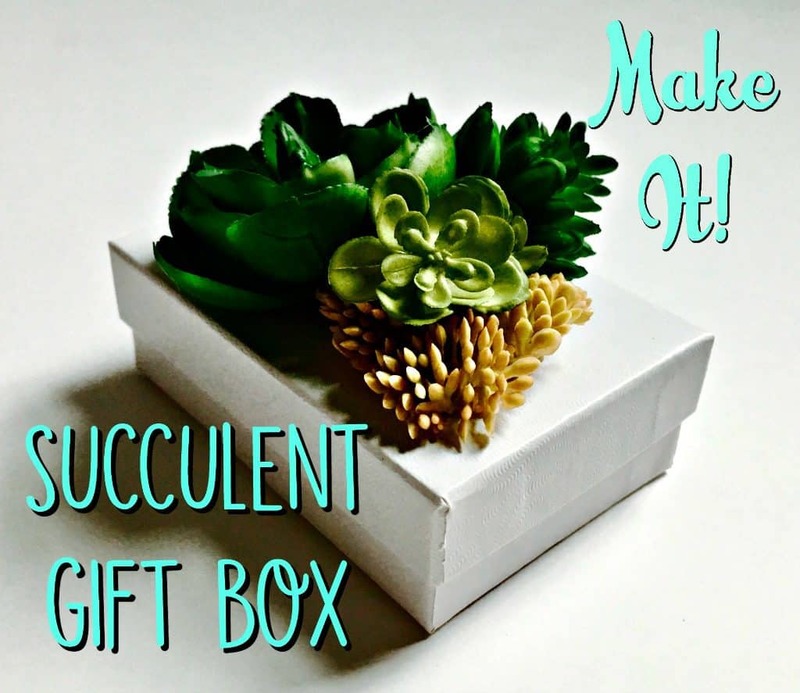 I’m sharing a quick and simple tutorial today on how to make a cute succulent gift box. I’ve been making lot of crafts lately with both real and fake succulents. This tutorial uses fake succulents left over from the Succulent and Yarn Wreath as well as the Succulent Necklace that I made. 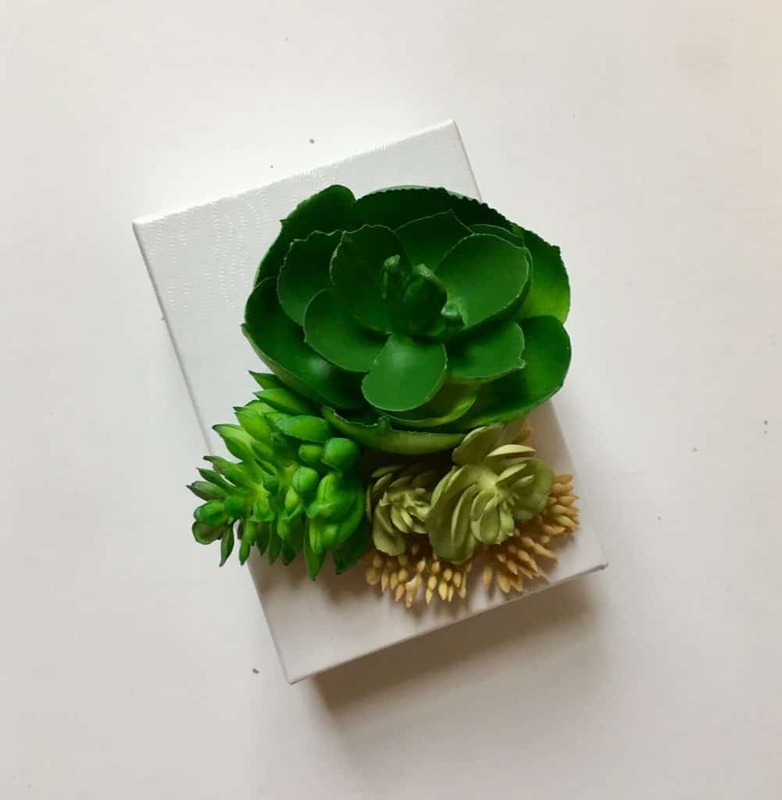 This project isn’t exactly rocket science, simply take faux succulents, trim off the bottoms and glue them onto a plain gift box. It’s a nice alternative to bows and ribbons. 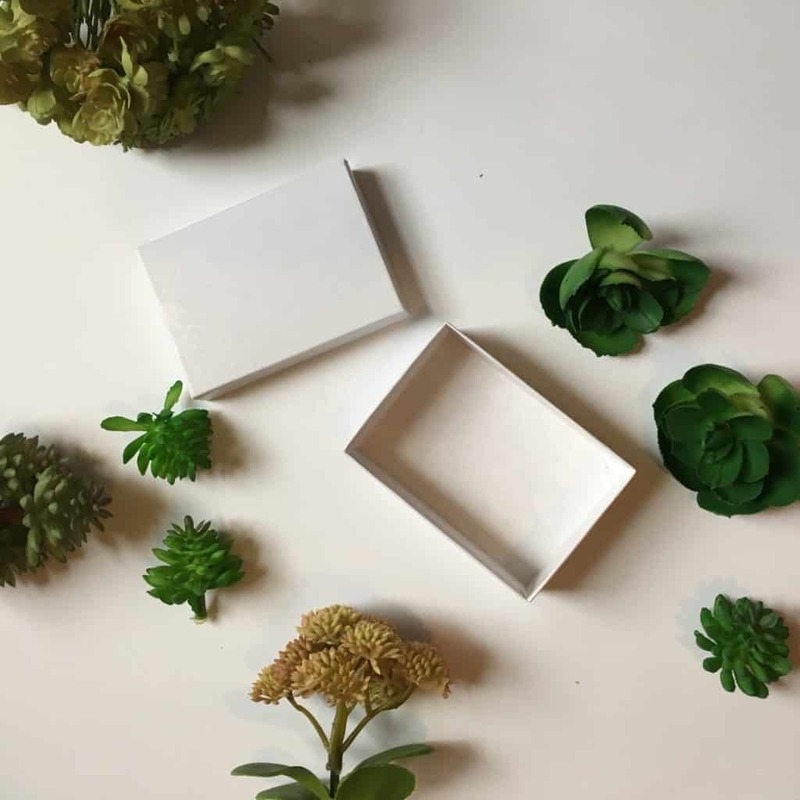 What do you think of my succulent gift box? 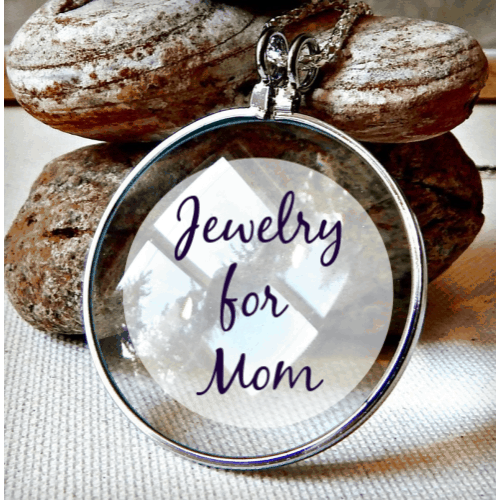 Who would you gift this sweet little box to?